After Tuesday's brutal stage, it was a far quieter stage today with the breakaway eventually claiming the stage win through Garmin's Ramunas Navardauskas. We mentioned him in the preview as a likely contender for the breakaway, but not for the actual stage win itself. 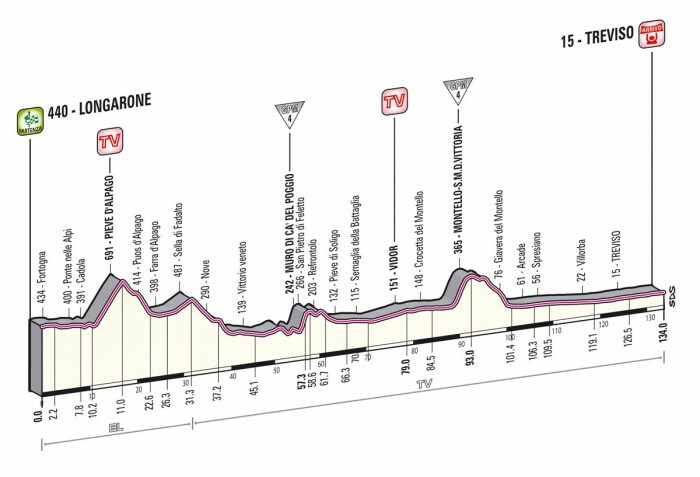 Stage 12 should be a rare one for the sprinters and I would expect to see the likes of Omega Pharma Quickstep and Cannondale on the front of the peloton to ensure that their men have the opportunity to compete for the stage win. Both Mark Cavendish and Elia Viviani have their eyes on the red jersey. Cavendish will take the jersey back off Cadel Evans should he win tomorrow, while Viviani has a chance to go back into the top 3 in the points competition. They are likely to be the two to beat. With John Degenkolb's retirement from the race, the biggest threat is likely to come from Nacer Bouhanni. FDJ struggled with their lead-out train in the last sprint stage, but the Frenchman was almost able to come through and pip Cavendish on the line. I would expect them to get it right tomorrow, so Bouhanni will be a real threat. Other than that, it is tough to see the likes of Matt Goss, Roberto Ferrari or Giacomo Nizzolo really challenging these three. It would be a real surprise to see anyone else up on the top spot of the podium, or even really on the lower steps of the podium.